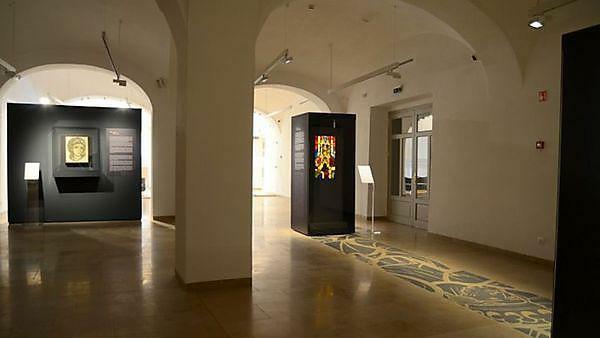 Dr Péter Bokody curated the international exhibitions Icons and Relics: Veneration of Images between East and West (March 21 – November 11, 2014) and Image and Christianity: Visual Media in the Middle Ages (July 10 – September 30, 2014) in the Benedictine Archabbey of Pannonhalma, Hungary. The two exhibitions presented forms of image-worship in medieval Christianity. Image and Christianity was also the inaugural exhibition of the new Abbey Manor Visitor Centre (remodelled from an 18th century Baroque vine-cellar). The shows were accompanied by a joint bilingual (Hungarian-English) catalogue entitled Image and Christianity: Visual Media in the Middle Ages, which contains the reproductions and descriptions of the exhibited works and 9 studies discussing the questions of mosaic technique, book illumination and the cult of relics. Icons and Relics displayed the complex history of image-worship in the East and West through a comparison of the cult of images and relics. Image and Christianity focused on the same development from the perspective of the visual media in the Middle Ages, where the spread of the painted panel in the West was interpreted in the context of mosaics, stained glass, murals and book illumination. The exhibitions underlined the Latin Sack of Constantinople (1204) as the point of intersection between the two tendencies. Works from four countries and 17 institutions were displayed. The highlights of the exhibition Icons and Relics were the 12th century head reliquary attributed to Saint Coloman (Benedictine Abbey, Melk), and the 14th century reliquaries of Mary Magdalene and Saint John the Baptist (Permanent Exhibition of Religious Art, Zadar). The Western reception of the icon was shown by the outstanding 14th century Venetian diptych (Christian Museum, Esztergom), which no longer displays the icon of the Virgin Mary as an icon, but as an image embedded into a Gothic architectural setting. In the exhibition Image and Christianity medieval visual media were presented by 12th century mosaics (Museo Torcello, Torcello), 15th century stained glass windows (Universalmuseum Joanneum, Graz), 14th century fresco fragments (Museum of Fine Arts, Budapest), 15th century painted panels (Hungarian National Gallery, Budapest), and 11th-15th century codices (Benedictine Abbey, Sankt Paul im Lavanttal; National Széchényi Library, Budapest; ELTE University Library, Budapest). Insight to the exclusive imagery of the liturgy, among others, was provided by a 9th century Carolingian ivory book cover and a 13th century chasuble (Benedictine Abbey, Sankt Paul im Lavanttal). The collective and public forms of worship were complemented with more private images: 14th century votive panels and private altars (Museum of Fine Arts, Budapest), together with ivory diptychs (Museum of Applied Arts, Budapest).